Next week, Zen Studios is releasing a new Star Wars Pinball pack based on the blockbuster film, Star Wars: The Force Awakens! Combining two tables inspired by the hit movie and each featuring art, models, and sounds directly from the film, this new pinball two-pack is an intergalactic adventure that no Star Wars fan will want to miss! 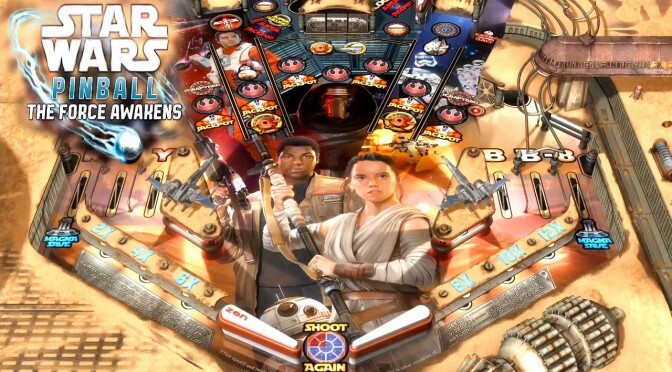 In the Star Wars Pinball: The Force Awakens table, team up with the Resistance and fight against the First Order alongside such heroes as Rey, Finn and Poe, and take command of the First Order and extend its power to many planets in the galaxy in Star Wars Pinball: Might of the First Order.